There are superstar duos and then there are the megastar duos... like the team of violinist Itzhak Perlman and pianist Evgeny Kissin. 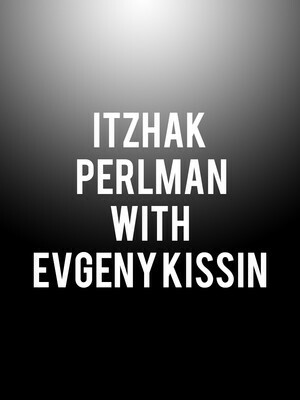 Why See Itzhak Perlman with Evgeny Kissin? The evening begins with Mozart's Violin Sonata No. 23, a work held in high esteem by many, including Albert Einstein who called it 'the great concert sonata'. Composed in 1778 for violin and piano but not published in the composer's lifetime, the sonata is filled with aural delight and fine arrangement for the pairing. This is followed by Brahm's 1886 sonata, one of his most beloved chamber music works for the chamber thanks to its radiant and joyful mood. The evening comes to a close with Beethoven's Violin Sonata No. 9, a work celebrated for its technical demands, emotional depth and unusual length at 40 minutes. Sound good to you? 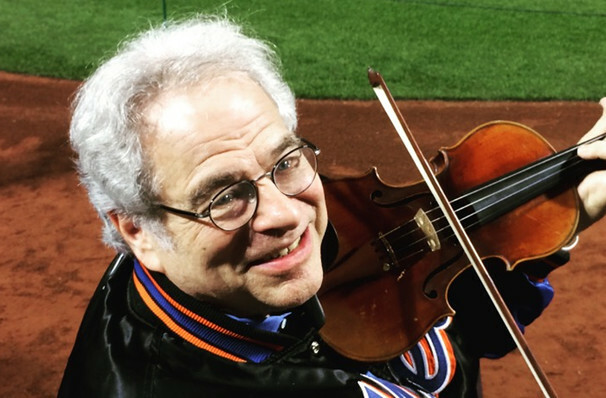 Share this page on social media and let your friends know about Itzhak Perlman with Evgeny Kissin at Boston Symphony Hall. Please note: The term Boston Symphony Hall and/or Itzhak Perlman with Evgeny Kissin as well as all associated graphics, logos, and/or other trademarks, tradenames or copyrights are the property of the Boston Symphony Hall and/or Itzhak Perlman with Evgeny Kissin and are used herein for factual descriptive purposes only. We are in no way associated with or authorized by the Boston Symphony Hall and/or Itzhak Perlman with Evgeny Kissin and neither that entity nor any of its affiliates have licensed or endorsed us to sell tickets, goods and or services in conjunction with their events.